Melody Svennungsen is the Vivace and Advanced Vocal Ensemble Director, as well as Co-Artistic Director for the CCYC. She is a San Luis Obispo native with over forty years of experience in vocal and theatre performance. She appears as soloist for local choral groups including Cuesta Master Chorale and San Luis Obispo Vocal Arts Ensemble. A member of SLOVAE since 1986, Melody is Gary Lamprecht’s Assistant Director and Soprano Section Leader. She also teaches private voice lessons and musicianship to all ages. Melody’s official conducting career began 12 years ago this fall with the CCYC shortly before she earned her music degree in vocal performance at Cal Poly in 2007. As a music student, she served as assistant conductor for Dr. Davies and studied voice with both Katherine Arthur and Jackie Kreitzer. 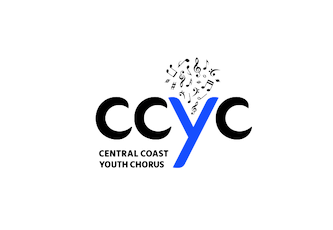 Melody is grateful for the richness and meaning that music brings to her life, and for the opportunity to facilitate the deep bonding among the CCYC singers that results from singing together. JoAnne Stoddard, Cadence and Cadenza Director, as well as Co-Artistic Director for the CCYC, is enjoying her 6th year with the organization. Originally from Montana, JoAnne graduated from the University of Idaho (Music Education, K-12 with an emphasis on flute). She began her teaching career as an elementary music teacher in Elko, NV. After moving to Paso Robles, she taught elementary music for San Miguel, Pleasant Valley, and Atascadero schools. She has recently retired from Templeton Unified School District, where she helped develop a choral music program encompassing elementary through high school age students. Many of JoAnne’s students were members of State, Regional and National ACDA Honor Choirs. She has been recognized as Templeton Elementary School Teacher of the Year (1993-1994) and TUSD Teacher of the Year (2003-2004). JoAnne has been an active member of the CA ACDA, serving on the Board of Directors. She is currently working as Director of Music at Plymouth Congregational Church in Paso Robles. She also enjoys hiking, gardening and being home with her family. Paul Osborne has been a choral director, tenor soloist, and composer/arranger on the Central Coast since 2006. He received his degree at Concordia College in Moorhead, MN, where he studied choral conducting with René Clausen. He was the choral director at San Luis Obispo High School from 2007 to 2012. He is currently the Chorus Master for Opera San Luis Obispo, the founder/director of Resonance, the worship leader at Paso Robles Church of the Nazarene, and this Fall he will begin as director of the Young Men’s Ensemble with the Central Coast Youth Chorus. He performs locally with the San Luis Obispo Master Chorale, Central Coast Gilbert & Sullivan, the Vines Chorus, and the "Bach in the Mission" series with the Cal Poly Early Music Ensemble. He resides in Atascadero with his wife Katrina and daughter Emmy. Eden Bywater is the Director for our Brio Choir. In high school, Eden sang with both Concert Choir (now Vivace) and AVE, where her love for singing and participating in choral performances increased profoundly. After high school, she accompanied the CCYC's Brio Choir, and for the Atascadero Fine Arts Academy under Beth Klemm, and for Anne Olson at the Templeton Middle and High Schools. Eden moved to Wisconsin and attended Maranatha Baptist University, studying Piano Pedagogy and the University of Wisconsin-Whitewater, emphasizing Music Education. She performed with her college Concert Choir & Vocal Jazz Ensemble, as well as accompanying for the Vocal Jazz Ensemble. Eden also had the wonderful opportunity to sing in the auditioned Madison Symphony Chorus in Madison, Wisconsin. Eden returned to the central coast in 2015 where she married her husband David. In addition to her work with CCYC, she accompanies the Fine Arts Academy Choirs and continues to play and sing for weddings.